A Year of Being Here: Jane Hirshfield: "The Kingdom"
moving of shadows and grass. enters finally losing it all. 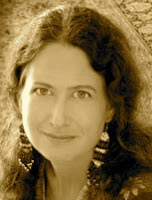 "The Kingdom" by Jane Hirshfield. Text as published in The October Palace: Poems (Harper Perennial, 1994). Art credit: Untitled photograph by © Scott W. Rouse.